TF Building and renovations Specialise in renovating older properties weather its a full hose or in this case just a wall. 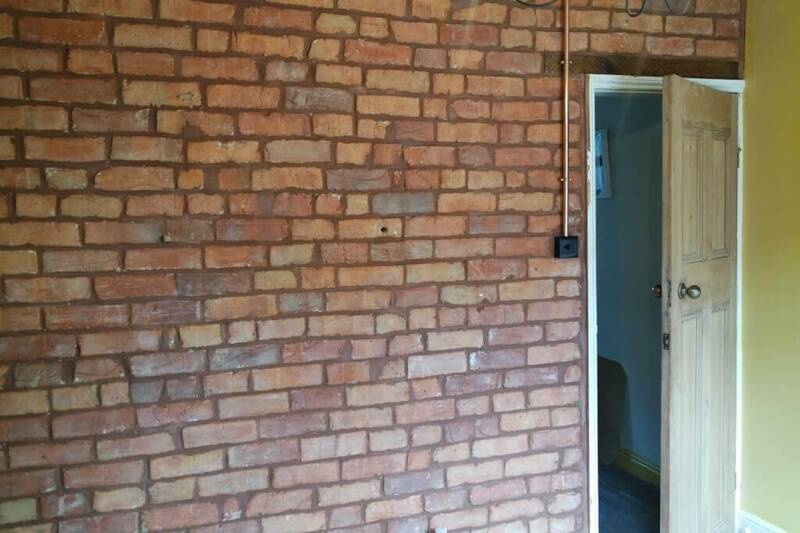 We were approached by the customer to plaster the wall with a re-skim, soon after we arrived it was apparent that the plaster had blown and plastering on top of the old mortar was a no no. After a quick discussion with the customer it was decided to knock it off and start again. 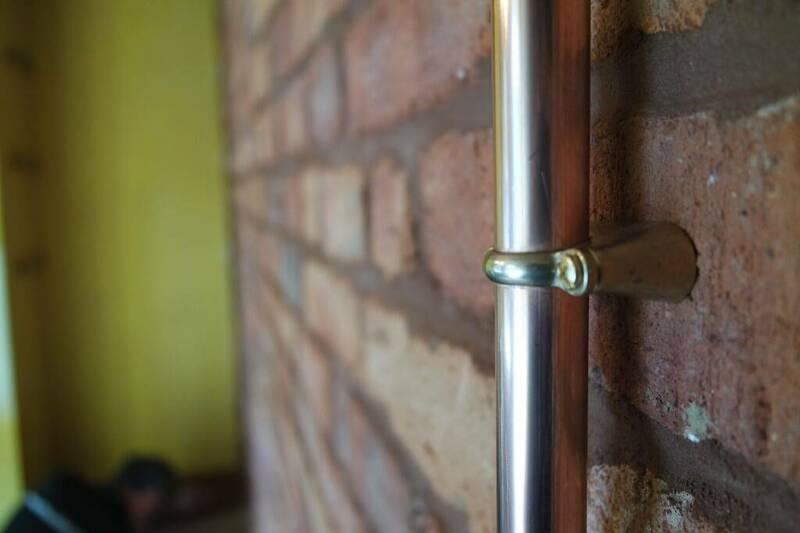 At this point of the renovation we found the red brick wall underneath. Just as a idea we Put the idea to the customer that instead of overbearing and plastering the wall, would you be in to the idea of keeping it and pointing it with red mortar to make a feature. It was a unanimous yes and we started the restoration. Firstly everything was sheeted up to contain dust as much as possible, then all the old mortar was ground out with a Mortar Rake to the depth of approximately 20mm. 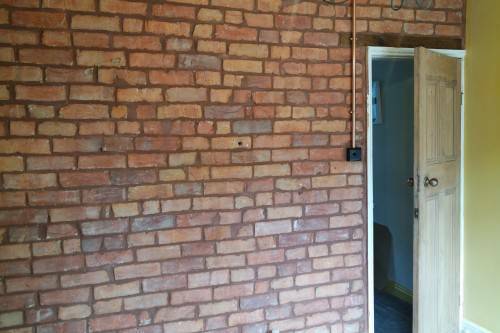 Next the whole wall was with brushed to take away the existing dust and old lime plaster on the wall, bringing the bricks back to a nice rustic red shade. 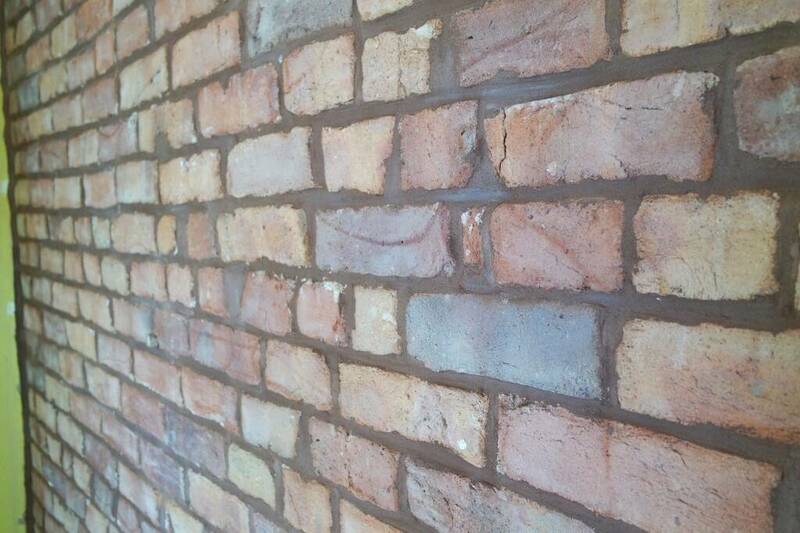 The wall was then pointed with a 3 to 1 mix with a red colour additive, pressed and finished with a brush. The wood little above the door was sanded back and finished with a coat of Oslo hard wax oil. 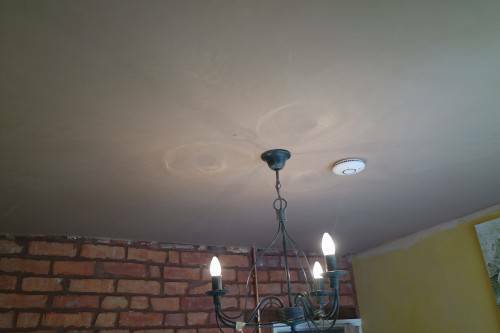 Finally the ceiling was plastered with a with a re-skim ready for decorating.